With company plastic packaging pledges popping up all over the shop since Blue Planet 2, we wanted to cut through the confusion by ranking UK supermarkets in a plastic league table. So back in May we partnered with the Environmental Investigation Agency to survey supermarkets on the full extent of their contribution to our plastic waste problem, and find out what actions they are taking to deal with it. Now the results are in, and our new report, Checking Out on Plastics, is out. So how did your supermarket do? Supermarkets churn out a colossal amount of single-use plastic packaging. Based on supermarkets’ own data, we now know it’s at least 59 billion pieces of plastic every year. So clearly if we are going to solve the plastic pollution problem we need supermarkets to change how they package their products. Plastic is a near-indestructible material, and too often it ends up in our environment because there’s just too much of it being produced and used for single use packaging in the first place. As packaging, plastic has a short working life, but as pollution it can last for hundreds of years, doing lethal harm to our sea life along the way. Now we know what it’s doing to our oceans, it simply has to go. Despite their huge combined plastic footprint, Aldi, Co-op, Sainsbury’s, Tesco and Waitrose have no specific reduction targets for plastic packaging. And of the supermarkets that do have targets, most are moving at such a slow pace (just 5% per year) that it would take them 20 years to completely rid their shelves of throwaway plastic. The most effective way to reduce reliance on single use packaging is to normalise refill or reuse options – and it’s an approach that both cuts plastic pollution and helps conserve precious habitats like forests. This means embracing approaches like enabling customers to bring their own containers to food counters, and offering more loose or bulk produce. Our recent polling showed 86% shoppers support the idea of supermarkets moving towards using more refillable and reusable packaging. 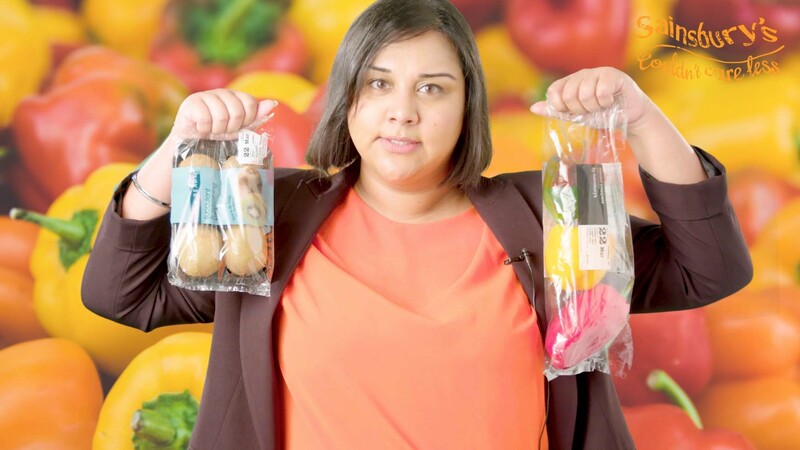 Morrisons is showing the most promise on refillables so far, but there is huge scope – and an urgent need – for supermarkets to scale up on this. The ten leading supermarkets are also producing 1.1 billion single-use bags, almost one billion bags for life and 1.2 billion plastic produce bags for fruit and vegetables. This is needless plastic and also something customers can opt out of. To encourage this, and carry forward the success of the 5p plastic carrier bag charge, supermarkets need to remove unnecessary plastic and make using no plastic the easy option by helping customers move to reusable bags. 2022 is the earliest target a supermarket has set to eliminate the plastic in their stores that is not widely and easily recyclable. We think it should happen without delay and without exception as alternatives already exist. Given their current pledges to act on this problem plastic, most supermarkets will still be filled with plastics you can’t even recycle for the next seven years. They are even promoting this as a ‘flagship commitment’ to tackling plastic. But recycling alone won’t solve the ocean plastic crisis; supermarkets must focus on reduction, and remove the most problematic types of plastic as a first step. UK supermarkets have a long way to go, but a year ago these scores would have been even lower – the action we’re taking together is working. 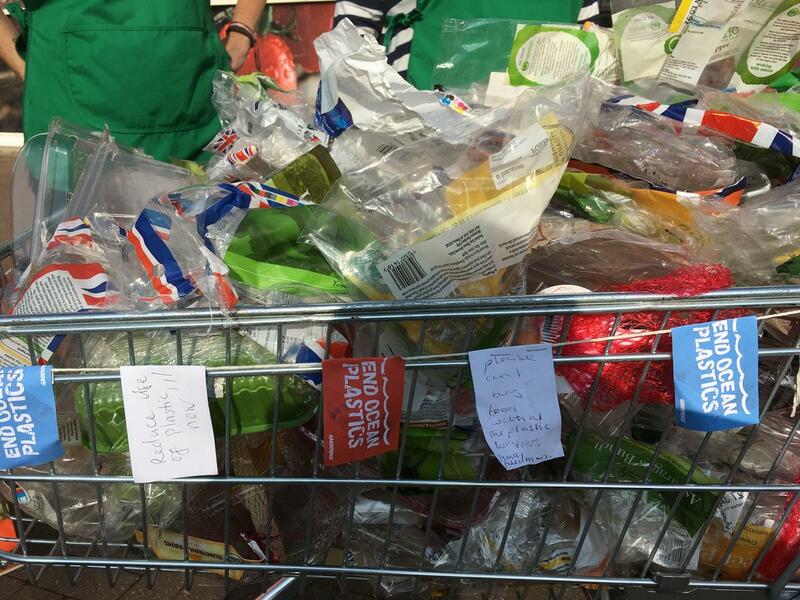 Whether you’re one of the 740,000 people who has called on supermarkets to ditch throwaway plastic, exposed #pointlesspackaging and tagged your supermarket online, written to a supermarket CEO, or left unwanted plastic packaging at the till; supermarkets are really starting to feel the pressure. Plastic packaging has now become a red button issue for retailer reputations. The scores are disappointing, but the race is on. 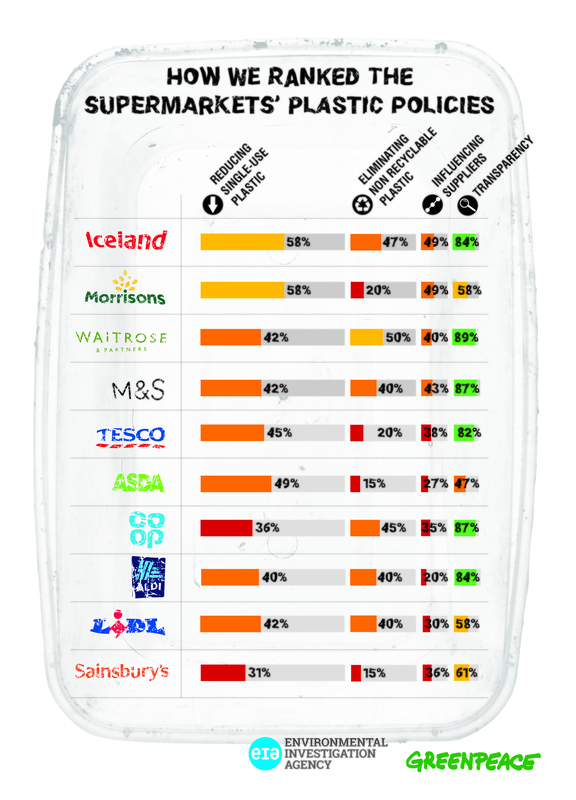 Supermarkets can still choose whether to lead the solution or stay part of the problem. We’ve got lots planned in the coming months and we’ll need your help. Join our Shoppers’ Revolt here.